Not much has changed for most cryptocurrencies over the last few hours. Bitcoin is, together with Monero, the only currency in the top 10 noting a small loss, whereas most other coins have stabilized or regained a portion of their losses. Considering how the weekend is often a dreadful period for cryptocurrency trading, this overall trend is rather positive. The total crypto market cap is headed toward US$90B, which is also a positive sign. It seems evident that most of the top 10 cryptocurrencies are positioned well for some notable gains over the next seven days. Even though we will see one Bitcoin hard fork materialize on August 1st, it is doubtful this will harm the price in a negative manner. Do not be mistaken in thinking Bitcoin Cash tokens come free of charge, though, as they may effectively subtract value from the actual Bitcoin price until the market stabilizes. That being said, we do note the Bitcoin price has dipped a whopping 0.19% over the past 24 hours. That in itself means very little as far as the world’s leading cryptocurrency is concerned. In fact, as long as Bitcoin doesn’t move by 5% or more over the course of 24 hours, there is absolutely nothing to be concerned about. A minuscule change such as this one means absolutely nothing. Despite the Bitcoin price “dip”, most altcoins have been doing quite well. Ethereum has finally been showing some signs of life after weeks of declines. 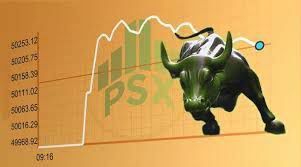 The 5.67% gain of the past 24 hours is quite substantial, and its price seems to be headed toward US$200 once again. It is still a far cry from US$400, though, and the currency is not out of the woods just yet. Future value declines may still come into play for Ethereum, as there are still some funds in circulation which could be dumped across exchanges in the near future. Other top currencies are showing small gains as well. Litecoin is up by 189%, whereas NEM, Dash, and IOTA all report gains below 1%. The big winners are XRP — up by 3.47% — as well as Stratis — up by 2.99% — and Ethereum Classic, which increased by 1.45%. The bigger question is when people will realize Ethereum Classic is the true, immutable Ethereum chain without SEC scrutiny, highly controversial ICOs, and a blockchain which can be rolled back when founders’ money is at stake. Only time will tell whether the ETH/ETC correlation will ever see proper momentum, as for now, all the hype and focus is still in Ethereum’s camp. What is rather surprising is how Monero is the only top 10 currency to note any losses other than Bitcoin and Monero which lost 6.41% of its value overnight. There is no real reason for this sudden downturn other than people speculating on the other currencies and trying to make a profit. Monero is still a very powerful cryptocurrency with honest developers who aim to provide anonymity to all users. Then again, a price of US$40.65 per XMR is still more than fair, all things considered. Looking at the individual cryptocurrency market caps, it is pretty obvious Bitcoin will remain the undisputed leader for some time to come. As a result, the Bitcoin Dominance Index has gone back above 50% and currently sits at 50.5%. Not too long ago, that percentage was headed toward 40% and lower, but it seems the market has finally come back to its senses. There is no other currency capable of rivaling Bitcoin right now; that much is evident.